Constructing a traditional greenhouse and maintaining one is definitely not a past time. The cost and energy you need for them are significant. They aren’t for those who just want to do it for a past time. Although greenhouses need constant maintenance to function properly, it isn’t that hard to build it. You can do it by simply utilizing materials easily available around. 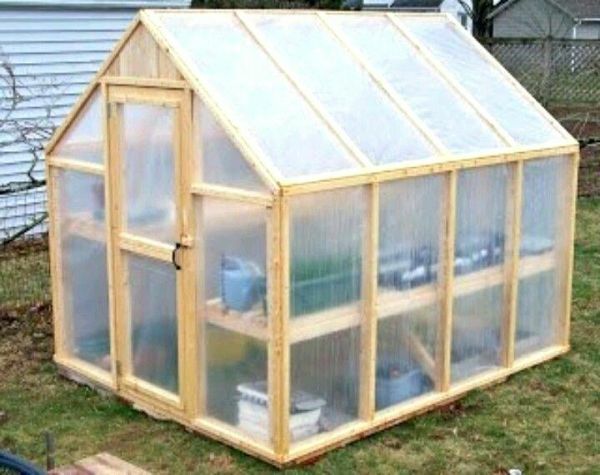 By following this DIY guide you can easily build a greenhouse in your backyard without spending too much. Growing flowers, fruits, vegetables and plants in your own greenhouse is good way to unwind and spend some quality time with nature. 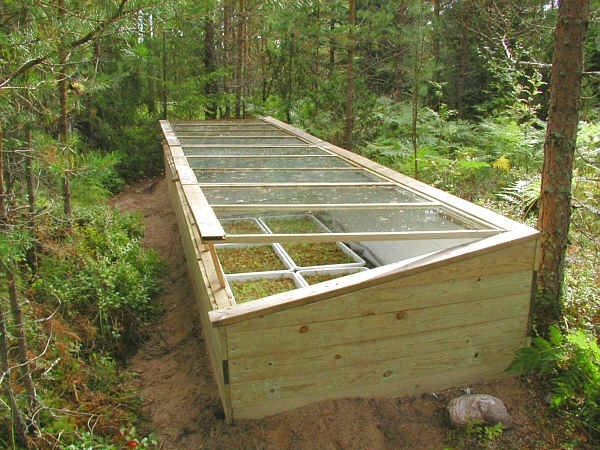 If you are fond of greenhouses, you can build one in your backyard or garden easily. A greenhouse can be attached to your home or be a freestanding one. In a freestanding structure, separate facilities for heat, electricity, and water are required. This hassle is absent in an attached construction. You will need to build only three walls as the fourth side will be enclosed by the house. 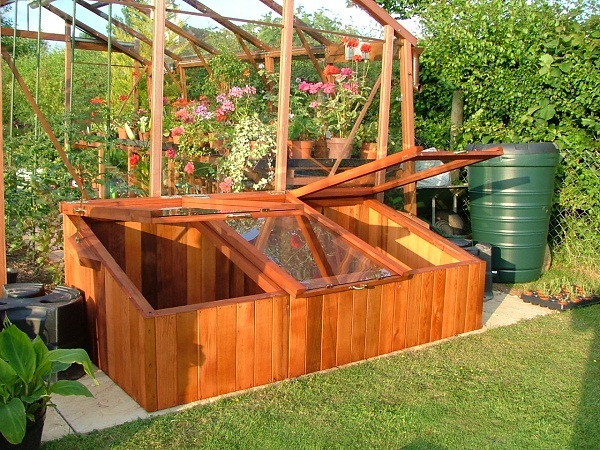 Here are some simple instructions to make your own small greenhouse, also known as a coldframe. Decide where you would build your greenhouse. Take all required measurements like length of the side walls, water pipes, windows, etc. 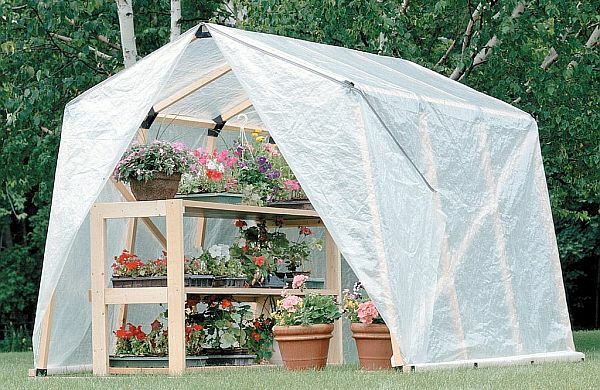 If you are using plastic or wooden frames, then, cut out frames for the base, roof and walls of the greenhouse. However, if you are using concrete, then, you will need to make a bed of cushioning sand on the base. Affix frames on the ground using galvanized nails and plates. Now, set up the walls by fastening them with galvanized nails and wooden screws. Make sure that they are fixed to the base securely. Set up all electrical fittings and lay out the pipes. Put the frames for windows in place with nails and adhesives. Then, mount the door securely using hinges, nails and glue. You can use either traditional glass or fiberglass or double wall plastic or film plastic to make the shelter screen of your greenhouse. Although transparent glass gives ample light, it is easily breakable. Film plastic is also great to let the sun light in but it would need to be replaced after a year or so. Fiber glass requires maintenance but is durable. Conserve energy by using double wall plastic that holds on to heat for longer but it will also constrict the amount of sunlight going through the greenhouse. The roof can also be made up of corrugated panels which are extremely sturdy. To support a glass framework, a sturdy casing of aluminum or iron should be used. With wood, frames of PVC pipes should be used. Finish by making a pathway of stones or pebbles reaching up to the plants and then lay gravel for proper drainage. 1. How to decide the best place for building the greenhouse? This area should get enough sunlight and therefore should be located on south or east side of the house. However, ensure that the place is shady so that the greenhouse is protected from too much heat. Also, it should have good drainage with easy access to water, electricity, and heat. Start off by leveling the ground at the plot. The heating, cooling and air flow system should be adequate in the greenhouse. A continuous ventilator running across the roof is very important for letting out the hot air. Cool air should be able to pass through the greenhouse from the sides and the ends. So, make sure that there are enough vents at the base. A screen should shield all the venting outlets. Be sure to emit out heat regularly from the greenhouse whenever necessary, if you living in warmer climate regions. Despite incorporating a natural ventilation system, you will need extra gear to condition climate inside the greenhouse. A thermostat controlled ventilation system with a fan should be installed. If you live in cooler conditions, then set up heaters inside. An automatic watering system would be excellent if your budget allows. 1. 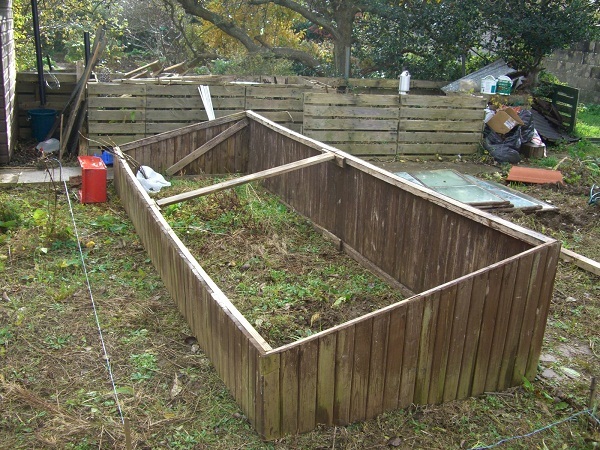 Do not build greenhouse on an area with soggy soil as it does not drain well. 2. Make sure that there is not even a single hole in the greenhouse structure; this will affect the temperature you want to maintain inside for growth of the plants. 3. If you are using a wooden base, then ensure that you have picked sawn timber or some other type of wood that will not rot. Here are some more mind-bending and affordable greenhouse design concepts which you can implement yourself for your own little ‘green’ greenhouse. Brian Merritt offers this completely portable greenhouse with a seed starter, which includes some high-tech wizardry. Normal greenhouse risk becoming too hot if kept closed and too cold if open, but Meritt has come up with a plan to regulate the interior temperature of the greenhouse with built-in sensors. Selecting a temperature between 60 and 95 degrees Fahrenheit, by 5 degree increments, automatically helps the microcontroller adjust the vent opening to help maintain that temperature. Just four AA batteries are all you need to run these sensors and microcontroller all day for a month. The gadgets also come with a daylight sensor, high-intensity LEDs which help in night inspections and a low-battery warning indicator. 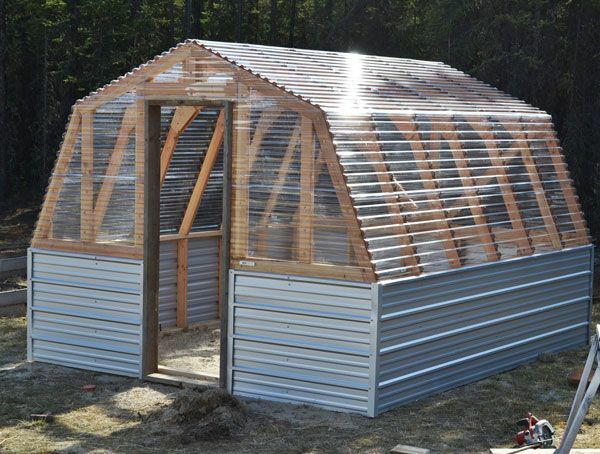 Built with a frame of pressure treated 4 x 4s, this movable greenhouse has a 12/12 roof for the snow to easily slide off and the walls are about five foot to make enough headroom in the center. Thirty six plywood gussets, studs and rafters, were nailed together and then wrapped over with 6 mil of greenhouse film. Then the house was sealed with pieces of foam. The main structure of this hoop greenhouse is made of 20 ft pvc pipes. With a width of 11 feet and 15 feet long and around seven and a half feet tall in the center, this ambitious hoop house started off with a budget. You could make one of these as long or as short as you want, but using this design the width needs to be around 12 feet. This seems perfect for a backyard garden space. This greenhouse built with a budget. It was built by starting with the end walls first. Instead of getting greedy and making it wider to be more amenable in snowfall or rain, the house wasn’t built completely flat. The wood was recycled from concrete lumber and the plastic roof (non-UV 6 mil clear plastic, which saves money) and sides were folded over the ends and stapled to the wooden parts. 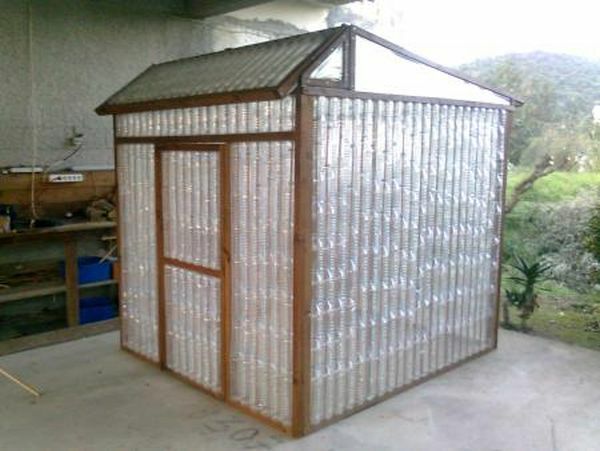 Built by a sustainable development charity named REAP, this greenhouse was built using 1,500 discarded plastic bottles and other scrap. This greenhouse is well equipped for organic farming. The frame uses four vertical posts on which the bottles are stacked up with garden cane as frame. Built with the background of various legends regarding greenhouse, using unwanted glass plate negatives, which gave the interior filled with plants an abundant array of haunting shadows, this is as much an exercise in art as it is a utility. Michael Oatman, a collage artist with a class of architecture students at Rensselaer Polytechnic, was inspired enough with these stories to go ahead and build something similar. The 2,500 glass negatives are mug shots of over 15,000 criminals from the 20th century. While the work has been titled conservatory, it’s still not sure whether it’ll be ready yet for public viewing.